It’s no secret that men are the prevalent in the world of technology. However, the gender imbalance largely affects a range of subjects --- so no – this isn't just about the obvious wage gap. It leads us to ask a few questions. Why is this happening? Why is it critical we support women who want to pursue into technology roles? What can we do to create change for further innovation? The percentage of female computer science majors are massively declining. In 1985, 37% of graduates were female. That number has dramatically dropped to 18% in 2008. Disproportionately, 74% of females displayed interest in science, technology, engineering, and math (STEM) but a mere 0.4% select computer science as their major of choice. Even if they were in technology, they didn’t stay long. Many women felt like an outsider – about 75% felt they didn’t belong compared to 17% of men . This is attributed by the shortage of females in the industry and the traditional “brogrammer” culture, in which they ignore female employee, this is sadly common in many tech companies. Not only is it an issue with attracting and retaining talent, but having multiple women leave the company is expensive and impacts the bottom line. Who is the Real End User? One risk is that this gender imbalance subconsciously plays a role in preference towards men. For example, LinkedIn’s search algorithm was discovered to be suggesting men’s names when users entered a common woman’s name in the search field. If one were to type “Stephanie Williams,” they would find a suggestion for “Stephen Williams.” Masculine alternatives were offered for at least a dozen other women’s names. This phenomena did not work in reverse. If you searched for Don, it did not suggest Donna. This is not an uncommon historical problem. Airbags are supposed to be design as a safety feature to protect everyone. However, when they were first introduced they killed a disproportionate number of women and children. The engineering team were composed of all males. As AI is on the rise across the globe Siri, Cortana, and Alexa --- Apple, Microsoft and Amazon products respectively, all have default feminine voices and names. Who determined this design and why is it a norm? As anyone can see conscious or subconscious, technology typically favours men. They underestimate the power women have in technology including purchasing power, knowledge, and even company statistics. Contrary to belief, women purchase more technology products than men. 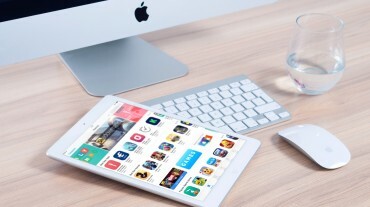 According to research over a span of two years from Park Associates, a market intelligence firm, woman buy more tablets, laptops, smartphones, download more music, movies, and games, and majority of household technology purchasing decisions. Women should then better understand what products is wanted and help the business become profitable. Gender diversity carries huge benefits. Statistics also show that an equally balanced team of female and males outperforms a team that is predominantly of one gender. As well, teams that have at least one female executive receive valuations 64% larger in comparison to companies that have only men leadership positions. This shows that diversity is good for your numbers. One of the issues is from a young age, the media and traditional stereotypes has an influence on what is portrayed to boys and girls. Recently, this magazine comparison went viral. 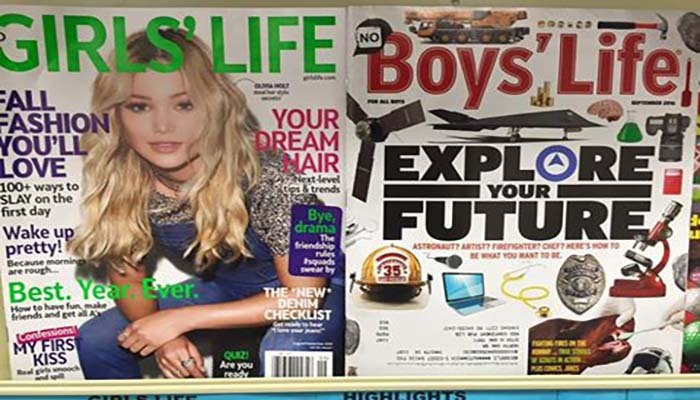 While the boys are shown images potential career paths and told to “explore their future”, the girls magazine contrasts with superficial messages. The first step solving this problem is to market to girls the same way society markets to boys. This same type of encouragement tells girls to focus on what they should be looking at their future instead of being concerned with image. A voluntary survey online asked 100 women why they didn’t become engineers. 13% responded saying they didn’t feel they had the skill set, felt incompetent in math or science, or didn’t feel “clever” enough. Children are highly influenced by their environment around them when they’re young. An obvious step is by encouraging them to study STEM subjects. Girls should also be shown engineering in female friendly terms, exposed to role models, to convince parents and teachers to be a part of the movement, and have more activities in school that would promote girls’ participation. This will tackle the issue that we currently face of a job shortage of females in engineering. The lack of women role models make it really difficult for women to stay and the current culture is equally damaging. Having someone to mentor, even if it is a male mentor, at least encourages the idea that the woman is respected, equal, and can have someone to turn to and grow. The more we can bring women to stay in the industry, the more mentors there will be for future succession planning. Additionally, the tech culture of “brogrammer” needs to change. 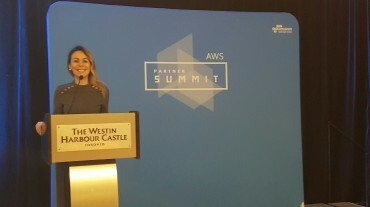 Having initiatives, developing a healthy workplace culture which embraces the idea of females in technology can be a small step in a huge change. Technology is universally used. Technology is gender-blind. Times are changing where traditional roles of women are being challenged and for the better. Computer science isn’t just a place for males and women shouldn’t be left behind in the most innovative period of the century. If you want your company to be recognized and succeed, support women in technology. iTechtions embraces a climate of diversity and support the hiring of women in technology. Learn more about the benefits of working with us by clicking here!